The Australian Constitution, particularly section 44i, is on everyone’s mind at the moment. In the past month it has been discovered that four Senators held dual citizenship at the last election. As well as being Australian citizen Scott Ludlam is also a New Zealand citizen. Larissa Waters is a Canadian citizen and Matt Canavan is an Italian citizen. 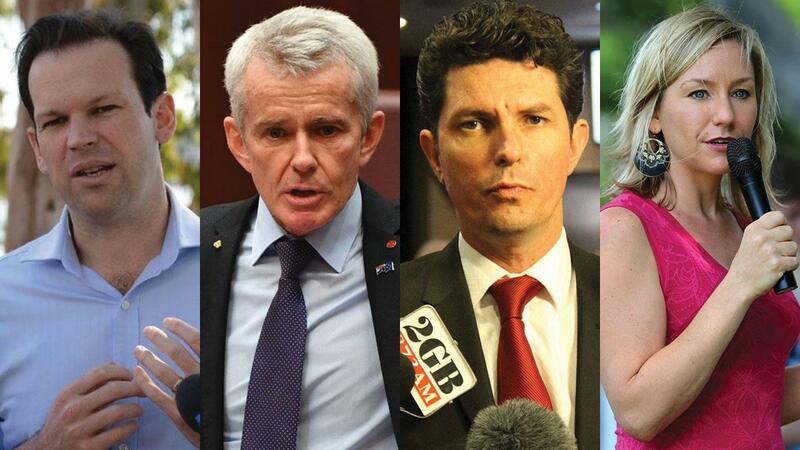 Each of these Senators claim that they did not know that they were citizens of another country as well as Australia. And then just last night we found out that Malcolm Roberts was a dual UK and Australian citizen until at least 5 December 2016. The Parliament meets again on 8 August 2017, where it is expected that a vote will take place in the Senate to send the question of whether Matt Canavan is capable of being chosen as a Senator to the High Court sitting as the Court of Disputed Returns. The High Court may also consider the eligibility of the two Greens Senators because whether they were ineligible or not will make a difference to how they are replaced. If they have already formally resigned but are found to be capable of being chosen, they may be able to return through a casual Senate vacancy. The Malcolm Roberts eligibility may also be referred to the High Court to discover whether he took all reasonable steps to renounce his UK citizenship before nominations closed. The question in this case is whether taking the first step towards renunciation is enough? Now that section 44i is under media scrutiny there could be further Parliamentarians questioned over their eligibility to sit in Parliament. Why do we have this section in the Constitution? The people who wrote our Constitution wanted to ensure that the loyalties of our Parliamentarians were owed to the Crown. It was discussed at the Adelaide constitutional convention in 1897 whether someone who had taken a foreign oath of allegiance and later became a British subject should be able to sit in the Parliament. However, no amendments to the draft Constitution were made to allow dual loyalties. The third Prime Minister of Australia has a similar story to the Senators that have discovered they are dual citizens. Johan Cristian Tanck was born on board a ship in the port of Valparaiso in Chile to a Chilean father and an Irish mother in 1867. After the death or disappearance of his father he moved to New Zealand as a toddler with his mother. In New Zealand his mum married Irish born miner George Watson and he took on his stepfather’s surname sometime after 1877. After the death of his mother in 1886 and at the age of 19, Chris Watson moved to Sydney and was first elected to the NSW parliament in 1894. He was then elected to the House of Representatives in the first federal parliament 1901. Then in 1904 at the age of 37 he became Prime Minister. Former Home Affairs Minister King O’Malley was born in Kansas in the 1850’s, but reinvented himself as a Canadian. He had an amazing story of his American mother crossing the border into Canada as soon as she felt labour pains to give birth to him. He arrived in Melbourne in 1888 and was first elected to the Victorian Parliament in 1896. He was the teetotaller responsible for the ban on alcohol in Canberra and now has the famous O’Malley’s pub named after him. Citizenship was a looser concept than it is now. Although, technically, one was a citizen of the country one was born in – or the nationality of the ship one was born on – the relative ease of travel between nations rendered such terms as ‘citizenship’ elastic. Many people, for many reasons, changed their nationalities and identities easily….While Watson and O’Malley reinvented their backgrounds to make themselves ‘British’ to enable them to sit in Parliament, it was not uncommon at the time for people in search of a new respectability in a new country to reinvent themselves. No one ever questioned their loyalties to Australia. Chris Watson fought hard to get the Labor Party into Government in an alliance with both free traders and protectionist Parliamentarians. While King O’Malley was the Minister responsible for setting up our seat of government in Canberra. Today it is unlikely that Chris Watson, the first Labor Prime Minister in the world and King O’Malley would be able to sit in our Parliament. By the time our Constitution was written, many republics around the world were beginning to describe the people living within their countries as citizens. This was not so in most Commonwealth nations. While here, there was a local Australian sentiment, most Australians felt themselves to be British subjects. As did the people of New Zealand and Canada. As such, if you were born in these countries, you were a British Subject and capable of being chosen to sit in our Parliament. Our present constitutional practice in Commonwealth affairs of bringing the legal practice of the Commonwealth into strict accordance with reality, and by reality I mean the way in which the King's lieges think and feel both as nationals of their own country and as citizens of a wider Commonwealth. Later that year Australia introduced the Nationality and Citizenship Act 1948 under the Labor Prime Minister Ben Chiefly. When the Australian bill was introduced into the Parliament it was described as being evolution of Australian nationality that had been acquired without the loss of status as British subjects. When did we stop being British subjects? The High Court says it was in 1986. This was the year that the Australia Act was implemented in all Australian Parliaments and the Parliament of the United Kingdom. The consequence of this Act was the removal of Australian appeals to the Privy Council. With the introduction of the Australian Act the UK was considered a foreign power under section 44i of the Constitution, as it had no legislative, executive or judicial influence over Australia. What if you don’t know you’re a citizen of another country? ….it would seem that s.44(i) relates only to a person who has formally or informally acknowledged allegiance, obedience or adherence to a foreign power and who has not withdrawn or revoked that acknowledgment. The question for the current cases of dual citizenship is whether our Senators acknowledged their allegiance to a foreign power. Three of our Senators have stated that they didn’t know they were dual citizens (although one has had Italian postal votes sent to him). While the fourth has travelled on a British passport (as a one years old) but says he chooses to believe he was never a British citizen. Travelling on a British passport or receiving postal votes for an election in another country might be seen as acknowledgment. Another interesting case is that of Sykes v Cleary in 1992. The full bench of the High Court sat as the Court of Disputed Returns and found that Phillip Cleary was incapable of being chosen as a Member of the House of Representatives. This was because he was employed as a school teacher which is contrary to section 44iv of the Constitution. Public servants are not eligible of being elected to the Parliament. The court then considered the eligibility of two of the other candidates at the election who had dual citizenships. As well as being Australian citizens, one was Greek and the other Swiss. They remained entitled to the rights and privileges of a subject or citizen of a foreign power. Section 44(i) is concerned to ensure that foreign powers command no allegiance from or obedience by candidates, senators and members of the House of Representatives; it is not concerned with the operation of foreign law that is incapable in fact of creating any sense of duty, or of enforcing any duty, of allegiance or obedience to a foreign power. It accords both with public policy and with the proper construction of s. 44(i) to deny recognition to foreign law in these situations. If foreign law were recognized in these situations, some Australian citizens would be needlessly deprived of the capacity to seek election to the Parliament and other Australians would be needlessly deprived of the right to choose the disqualified citizens to represent them. Chief Justice Brennan made an extreme example of a foreign power conferring nationality onto an Australian Parliamentarian in an attempt to disqualify them. This would not stand. North Korea could not grant citizenship to someone in the Parliament to disqualify them. Could the statement about foreign laws also apply to our Senators. If you don’t know you’re a citizen, can a foreign power command or enforce an allegiance or obedience onto you? The Commonwealth Electoral Act 1918 describes the Court of Disputed Returns in Section 354. The High Court is the Court of Disputed returns, however it also has the power to send part of a petition to the Federal Court if there are questions of fact to be discovered. There may be questions and fact finding that need to be explored for these Senators. For instance, it has been stated that the Italian citizenship of Matt Canavan was acquired without his knowledge. Although after 2001 a lot of Australians of Italian heritage were granted Italian citizenship in order to vote in the referendums and elections in the following decade. The Court might like to examine evidence and this could involve testimony from witnesses. This is quite a steep fine, but the key words in this section are ‘until the Parliament otherwise provides’. In 1975 the Parliament passed the Common Informers (Parliamentary Disqualifications) Act which overtook this section of the Constitution. The penalty is now $200 a day for every day that a Senator or MP sits in the Parliament after someone sues them in the High Court. The maximum period that someone can be sued for is 12 months. If someone initiates a suit on Matt Canavan or Malcolm Roberts right now and then in six months the High Court declares that they were not eligible of being chosen for the Senate, they may be liable of a penalty of $36,500. Of course, the High Court may declare that they were duly elected, but that is the risk they are taking. We already have two Senators that have been found by the Court to have been incapable of being chosen as Senators. Bob Day and Rod Culleton. And now the High Court will be asked to consider another four. How can we ensure that people who are putting their hands up to run for Parliament are eligible? Some commentators are suggesting that we should alter the Constitution to allow dual citizenship. Others do not agree with this. Changing section 44 of the Constitution would require a referendum. Another option that has been suggested is that candidates should be officially vetted before nomination. That could be through the Australian Electoral Commission or another body. This is less problematic than changing the Constitution as it is just a legislative process. But, vetting more than 1000 candidates before an election would take a great deal of time and resources. It seems that there is no easy option. Meanwhile we now wait for the High Court to interpret section 44i.